The ductility of external beam-column joints effects seismic behavior of a structure and can be a reason for structural collapse. High strength concrete and large amount of steel present in the joint region reduces the ductility even further. This study presents a radical way of increasing high strength concrete external beam-column joint’s ductility by varying the beam top reinforcement detailing. Two types of joints (three specimens each) were tested, type-1 specimens were prepared as per regular standards while type-2 specimens were prepared by reducing the beam’s top reinforcement anchoring in the column. Load-deflection behavior was studied to observe the stiffness degradation and energy dissipation by joints. Experimental results demonstrated that type-2 specimens were considerably more ductile as compared to type-1 specimens. The energy dissipated by type-2 joints (with 40% less reinforcing bar area in the beam) was 41.5% more than type-1 joints without substantial stiffness degradation. Furthermore, it was observed that by reducing the steel reinforcement in beam, the cracks location changed from inside the joint to beam-column joint’s face which may be attributed for increased ductility in type-2 joints. 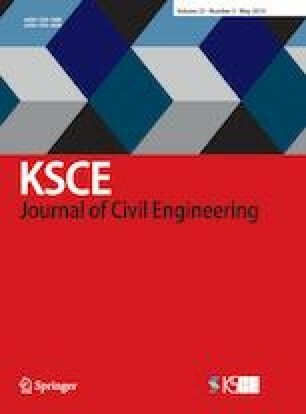 This study shows that by changing the steel reinforcement detailing near external beam-column joints, fatigue behavior and energy absorption capacity can be enhanced hence providing better performance against seismic activities.